DUI Defense Attorney | Marietta DUI Lawyer | Blevins & Hong, P.C. 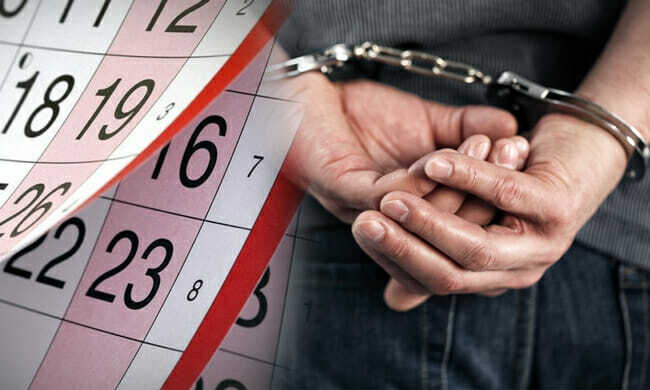 If you have been arrested and charged with DUI, either a first time misdemeanor or a more serious felony charge, you are probably asking yourself, “How can I fight a DUI charge?” At Blevins & Hong, P.C., we have outlined the various defenses that could be employed to fight back, either in court or in negotiations with the prosecuting attorney. We also have highly skilled DUI defense attorneys ready to fight for you. When facing charges on a drunk driving offense, it is imperative that you have legal representation such as a DUI defense attorney working closely with you throughout every step of the legal process. Your first call after being arrested must be to a Marietta DUI defense attorney from Blevins & Hong, P.C., who will engage in all legal actions to protect your rights and fight for your freedom. At our firm, we believe that our early involvement can be critical with regard to the final outcome of your case. We urge you to contact our firm immediately if you are under arrest for any misdemeanor or felony DUI offense. Our DUI defense attorney can provide the representation you need. You have rights under the Constitution of the United States. These rights are what make our country unique – but these rights must be upheld and protected. One of the rights is under the 4th Amendment. In cases in which there is no probable cause for the police stop, your civil rights may have been violated. Drivers that have not violated the law, are driving within the speed limits, have current tags, no missing lights, are not swerving or driving erratically should not be pulled over – but it happens. One exception is a roadside sobriety checkpoint. These checkpoints are highly restricted in how they are operated, and if you were pulled over within the regulations, it is not illegal. What happens after the stop may have errors, as with any other case. There are DUI charges in which law enforcement claims that a driver was “swerving within their lane.” Any accusation that sounds like the truth is being stretched or that rights were violated must be brought to the attention of the prosecutor or the court. In many cases, when it is established that the police stop was illegal and violated your rights, the evidence obtained will not be admissible, and the case dismissed. All types of testing are subject to error. When the administration of a breath test has been incorrect, the reading can be wrong. You could be charged with DUI and have actually been well under the limit. Roadside breath testing devices are known to be likely to have errors, and it is important that if you are going to be tested that you do it at the police station, not at roadside. Even when tested at the station, errors can take place. The rules for breath testing to determine blood alcohol content (BAC) include the following requirements. For example, the breath testing unit must have been calibrated and maintained per a specific schedule. The unit must be calibrated every 10 days, or every 150 uses, whichever comes first. If this has not been done properly, and there is a difference between a calibration check and actually calibrating the unit, the results could be successfully challenged. The test must be administered at the correct time. Your lawyer must ask for calibration records, as well as records regarding the number of uses of the particular unit if this defense is to be implemented. There are many ways that readings can be faulty. These issues must be carefully reviewed to determine if your case has this potential defense. These include whether the subject has dentures (alcohol can be trapped under dentures and lead to a false “high”); whether law enforcement adhered to the rules regarding observation time; whether the person administering the test had been properly trained; whether there was radio frequency interference which could have impacted the test outcome; whether the individual had certain conditions (high hematocrit) that could impact the results; whether temperature or patterns of breathing could have affected the test results; or other specific information that relates to the unique situation of your breath testing that resulted in DUI charges. This unit is currently approved by the state as the breath testing device to use when testing for alcohol. Some issues have been noted as problems for accurate readings, including cases in which the subject being tested has diabetes, esophageal hernia, heartburn, or certain liver diseases. Get all of these issues evaluated by the best DUI attorney in Marietta you can find. An arrest must be carried out correctly. You have rights and if they have been violated you may have your case dismissed. Every detail of the arrest must be fully scrutinized for conflicting reports from law enforcement or other errors. These issues can also be addressed in cross-examination in court. It is surprising how many cases there are in which there are conflicting reports that open the door for you DUI defense attorney and provide opportunities for the accused. Are you or someone you know, in need of a DUI defense attorney? Contact Blevins & Hong, P.C. for more information about how to defend a DUI charge in Marietta.